With an expert eye for design and an impeccable ability to redesign fixer-uppers into stunning, easily sellable properties, Shay Millheiser is recognized as a real estate leader. She has managed the real estate process from the purchase, construction, rebuild and sale of over 100 residential properties. Her dedication to her craft has won her acclaim by leading real estate professionals and her renovation and remodeling work has been featured on HGTV. 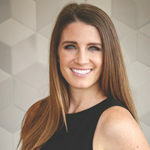 Shay is a Certified Luxury Home Marketing Specialist, as well as a member of the Austin Board of Realtors Housing Issues and Growth & Development Policy Teams.